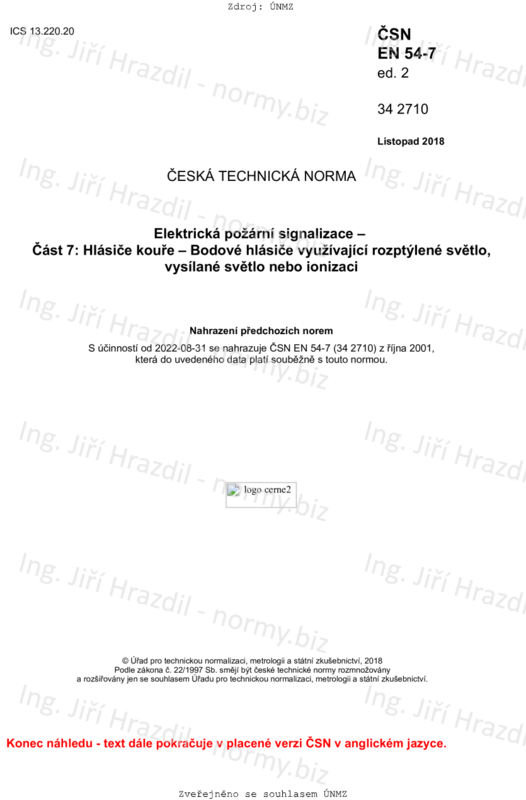 This European Standard specifies requirements, test methods and performance criteria for point smoke detectors that operate using scattered light, transmitted light or ionization, intended for use in fire detection and fire alarm systems installed in and around buildings (see EN 54 1:2011). This European standard provides for the assessment of verification of constancy of performance (AVCP) of point smoke detectors to this EN. For other types of smoke detector, or smoke detectors working on different principles, this standard should only be used for guidance. Smoke detectors with special characteristics and developed for specific risks are not covered by this standard.